Ranging from starter kits to more robust gear, we stock the best and most popular vaporizers on the market. Brands include Kangertech, Aspire, Smok and PAX. We also carry a small variety of tanks, 18650 batteries, coils, and chargers. Unlike other e-liquid vapes, the ultra-popular JUUL uses nicotine salts found in leaf tobacco (instead of "free-base" nicotine) as its core ingredient. We sell starter kits in limited edition colors and typically carry all of the flavors of JUUL pod refills. Our vape shop managers pride themselves in finding and selecting the best-tasting brands of e-liquids that are also economically affordable. 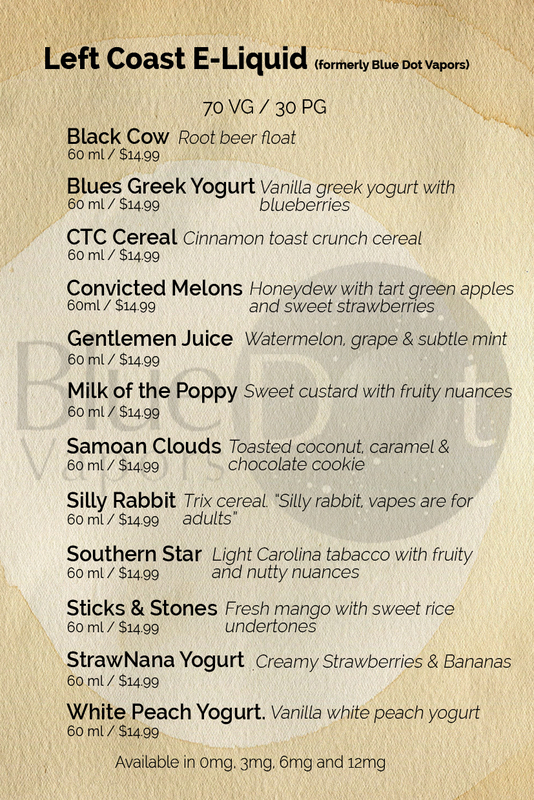 Ever-changing and expanding, our menu boasts an array of different flavors and nicotine levels at price points that can't be beat.